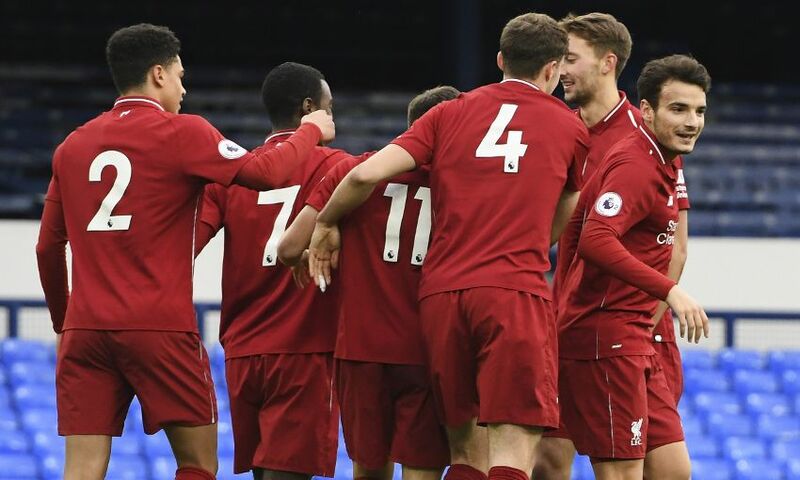 Liverpool U23s were full value for a 1-0 victory over Premier League 2 leaders Everton at Goodison Park on Sunday afternoon. An 11th-minute goal separated the local rivals, with Adam Lewis’ drive from outside the box deflecting off teammate Rafael Camacho and going past the goalkeeper. The young Reds had to respond to their chastening experience against Villarreal in midweek and boss Neil Critchley will have been delighted with how they did so. After a quiet opening 10 minutes from both teams, a flurry of Liverpool action concluded with Critchley’s team a goal to the good. The phrase ‘how did that not go in?’ has rarely been more fitting than for the passage of play immediately before the Reds did score. 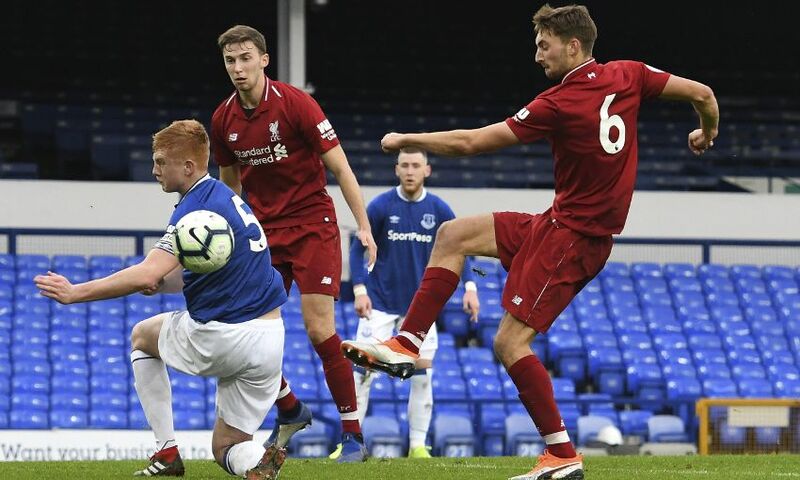 Conor Masterson nodded Lewis’ corner from the right up into the air and Nathaniel Phillips met the ball when it dropped back down with a header against the Everton crossbar. 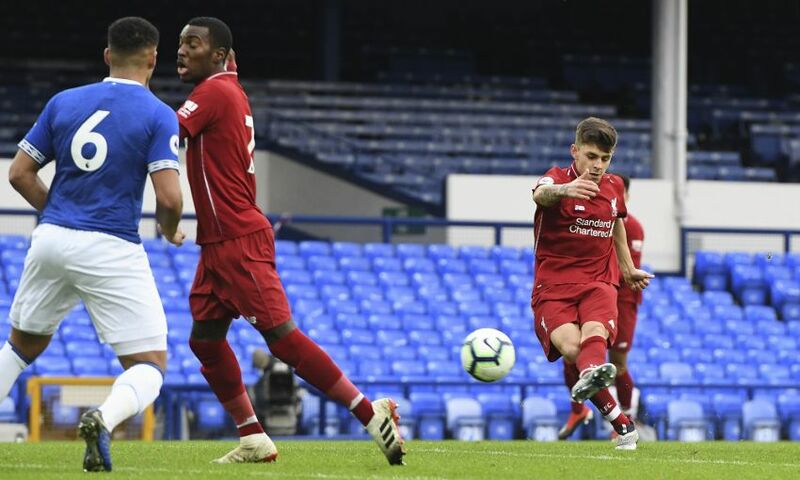 It bounced out to Ben Woodburn – available to the U23s after not featuring for loan club Sheffield United this weekend – inside the area but his own headed effort from close range had the same result and the hosts somehow survived. But their relief was short-lived. 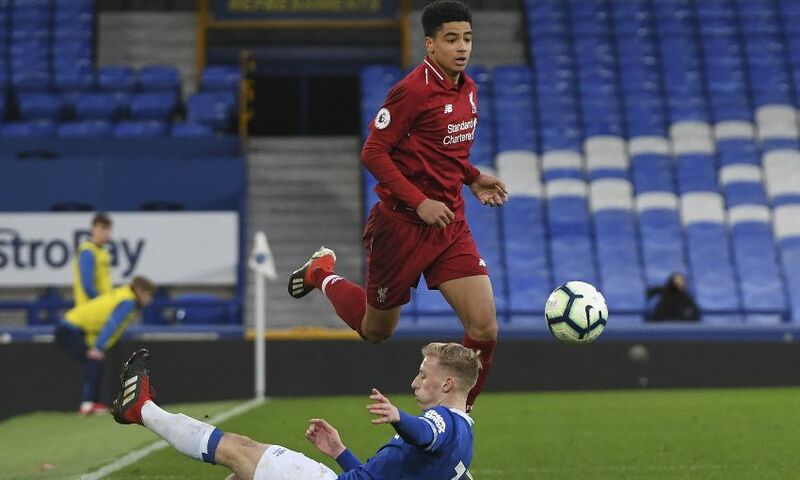 A delightful flick from Woodburn yards into the Blues’ half sped up Liverpool’s next move, prompting Isaac Christie-Davies to thread Lewis into space between the lines. 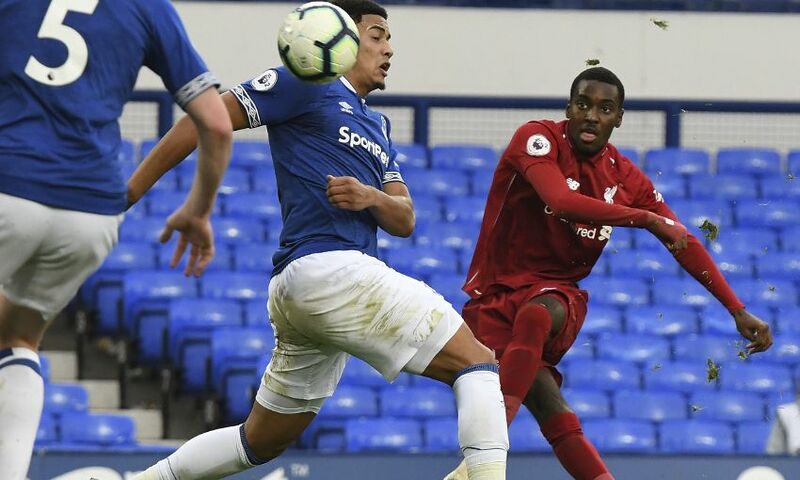 He cut inside and fired off a shot that struck teammate Camacho and completely wrong-footed Everton goalkeeper Joao Virginia, the ball bobbling into an unguarded net. The home side could have levelled in the 14th minute as Josh Bowler created space in the area with a clever dribble and crossed to the back post, where Nathan Broadhead couldn’t connect under pressure from Ki-Jana Hoever. Camacho threatened a cleaner second goal on the half-hour mark, released into the box when Hoever nutmegged Harry Charsley, but the Portugal youth international’s curler was blocked. 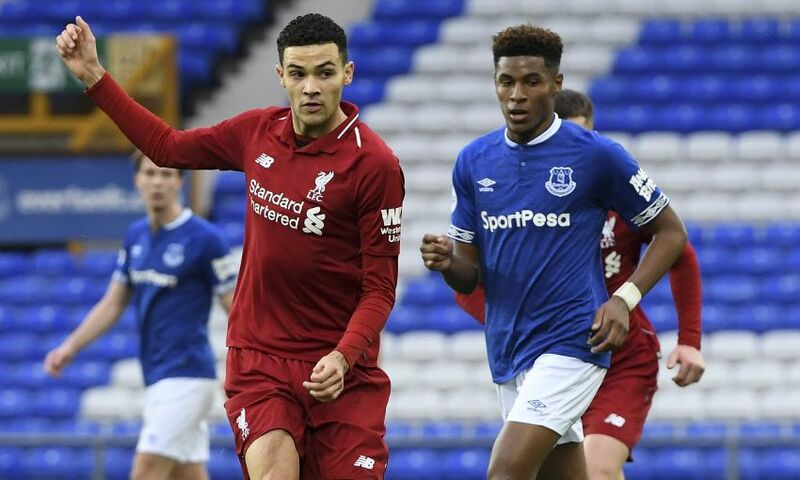 Liam Millar was introduced at the outset of the second half in place of Phillips but Critchley retained his wing-back system, with the influential Woodburn dropping deeper into midfield. Where the visitors had controlled possession for long periods in the first half, now there was a more even ebb and flow to the game – without much in the way of genuine chances, though. 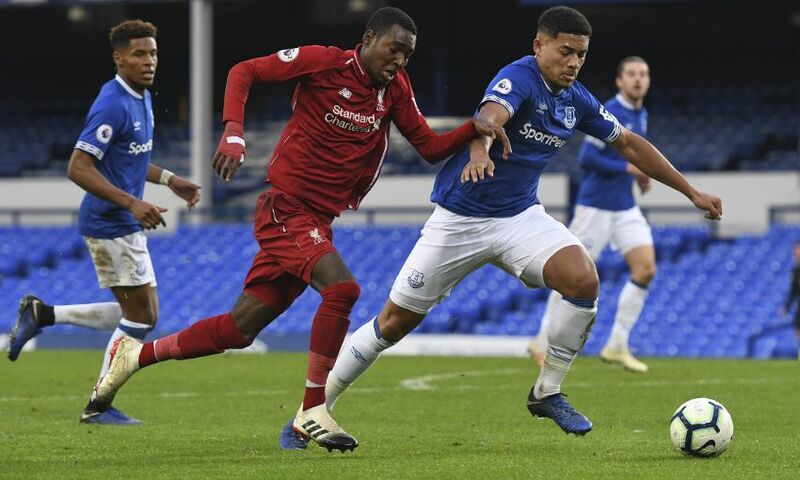 Everton did eventually get a sight of goal on 66 minutes; Pedro Chirivella lost the ball in his own territory and the Blues played in Bassala Sambou, whose low shot lacked the power to trouble Caoimhin Kelleher. George Johnston had to block a dangerous strike by Kieran Dowell, while Camacho smacked a 25-yarder just wide of the left post as time ticked away. But another goal did not materialise and it was the Reds who claimed the mini-derby bragging rights. 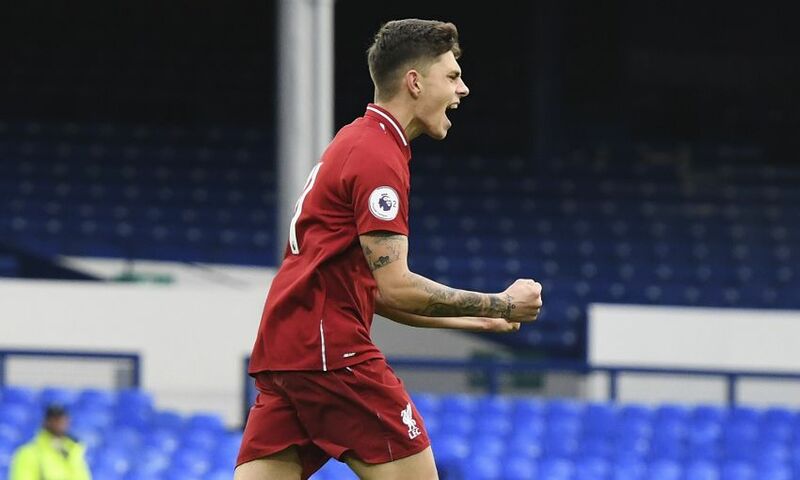 Liverpool U23s: Kelleher, Hoever, Juanma, Masterson, Johnston, Phillips (Millar, 46), Chirivella, Christie-Davies, Lewis, Camacho, Woodburn. Unused substitutes: Coyle, McKenzie-Lyle, R. Williams, Longstaff.